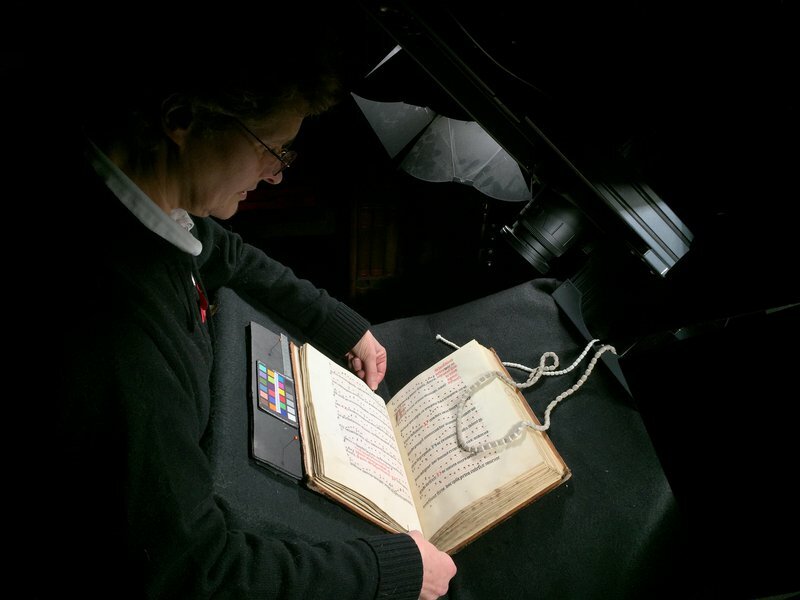 Digitizing primary sources for the DIAMM archive: why build a digital and not an analogue archive? The main advantage of a digital image over analogue is the longevity of the digital medium (although this assumes a well-managed archiving strategy). Even carefully stored film or glossy pictures will become brittle in 20 years, and is also subject to physical damage that cannot be repaired. Analogue images cannot be accurately copied or reproduced into multiple generations without loss of data and degradation or alteration of the original material. The fact that a digital image remains unchanged and can be copied precisely is both an advantage and a disadvantage, as the copyright issues that arise with exact copying are significantly more pertinent than with analogue images where copying is never completely exact. Because digital imaging technology is still relatively in its infancy, we have yet to see whether our preservation and file migration strategies will indeed leave an image unchanged over time, but the ability to preserve in this way is inherent to the digital medium. A second advantage of the digital image is its ability to reproduce the original with far more exactitude than the analogue image can. Digital capture at resolutions employed by DIAMM (144 Megapixels), involves the acquisition of a far greater quantity of information than analogue. Most of this information is not visible to the naked eye except under extreme magnification, but this sort of magnification is possible in the digital medium. The basic digital image tolerates far more enlargement without graining than its analogue counterpart would. Because analogue developing processes require the use of human judgement equally as much as any technical process to produce the final image, any close study of colours and ink bleed (for example) would be pointless unless conducted on the original source. Given the fragility of most of the sources from the Medieval period, this would be highly undesirable. Why digitize primary and not secondary sources (surrogates)? The question of the necessity of scanning from the original source rather than a surrogate (a slide or photograph) frequently arises: it is certainly possible to obtain very high-resolution scans of surrogates without having any recourse to the original. However, a good scan of a photograph or slide is still only a scan of a secondary image, and any deficiencies in that source will only be carried forward into the digital copy. Enlargement of digital scans made from high-quality photographs emphasizes any deficiency in focus, since conventional photography does not allow the photographer to view his focussing at very high magnification. Even if the image is in focus, the grain resolution of the print medium causes degradation in the image quality when that is in turn scanned and enlarged. Scanning from surrogates allows the introduction of a level of error caused by the original capture process, since between the primary source and the surrogate the potential for corruption of the original data has been introduced because a human operator has had to make decisions about focus and colour reproduction. Because our ability to perceive colour is often flawed, and always limited by our ability to perceive the full light spectrum, every layer of reproduction adds a level at which errors are introduced. 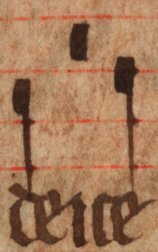 The eye is also incapable of fine focus beyond a certain level, and it is this further level of definition that is so essential in studying manuscripts in the digital medium. A scan from a surrogate is only as good as the surrogate, not the original. The first image below was scanned from a good colour photograph. The second image was digitized directly from the original source. Both images have been enlarged to pixel-for-pixel resolution on screen (i.e. full size). When photo labs make a reprint either from a print or from its negative they are rarely, if ever, able to reproduce the colour of the original print precisely, because they rely both on human judgement and the use of chemical processes that are too inaccurately calibrated to be exactly reproduced. The mechanism by which we perceive colour is still only partially understood, but one extraordinary ability of the brain, chromatic adaptation, which enables us to function normally in changing light conditions becomes a handicap when dealing with precise colour balancing. As an example, if you put on a pair of dark glasses, the lens will completely change the real colours reaching your eye. However, a split-second adjustment in the brain allows us to continue to recognise correctly and understand colours even through a very heavily tinted filter. All capture devices from scanners to hand-held cameras require calibration to determine how the CCD responds to colours. 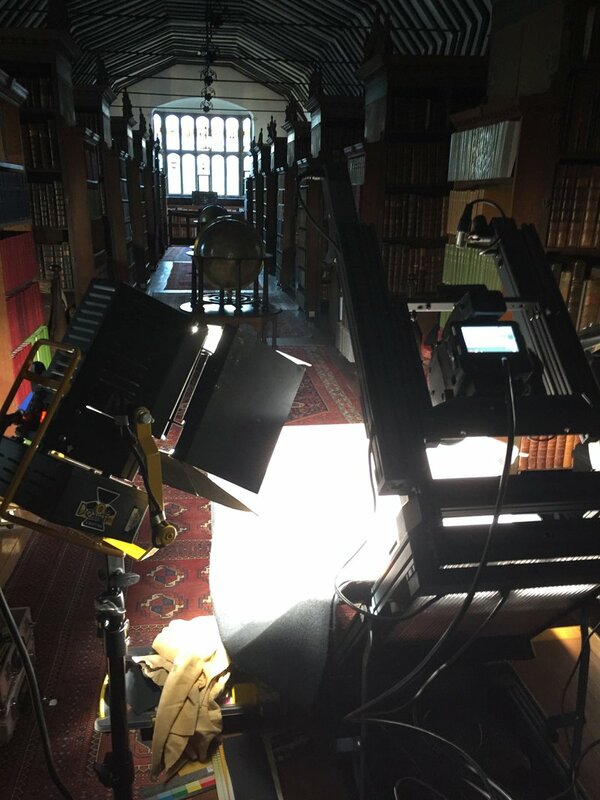 Archival digital scanning work is done with consistent daylight balanced lighting: this increases the scan time but ensures a more accurate result. Since the light is continuous (unlike flash), exact calibration of the capture equipment can ensure a correct record of the lighting conditions. Direct digital acquisition from the original source ensures both stability of the colour balance and the quality of the information, which remains true to the original because it is not subject to transformation from the analogue to the digital language. As long as the equipment used to view or print the image is correctly calibrated, and makes correct use of the embedded profile of the capture equipment, the user will see correct colour either on-screen or when the digital image is printed. No post-processing (unsharp masking to correct poor focus, level adjust to correct exposure, colour adjustment, de-skewing or other tweaking etc.) should be necessary on a correctly scanned or photographed image. If any post-processing is required, then the image has not been properly taken, and the work must be re-done. DIAMM digital images are captured at very high resolution (usually 600 dpi or above at real size), the resulting uncompressed TIFF files being in the region of 200-340 MB in size. These are the archive images which are stored by Oxford University Computing Services, which uses a Hierarchical File Server system. This is a resource of the Oxford Humanities Computing department. A second deposit of the images is held by the HFS of the Arts and Humanities Data Service (UK). Each image includes an industry-standard colour patche and a rule showing the original dimensions. DIAMM stores extensive metadata about each individual image, including the type and quality of the light source and the equipment used for image capture in order to anticipate any future needs that may arise with improvements in technology and software. Capture metadata and Dublin Core information about the source is held in the TIF header, and also in the project database. Further detailed metadata describing the manuscript and its contents is recorded in the database, portions of which may be consulted through this website. The single-shot camera can be mounted on an upright stand to provide greater flexibility with positioning, but is most often used with a mobile conservation cradle custom-built to our specifications by Manfred Mayer. 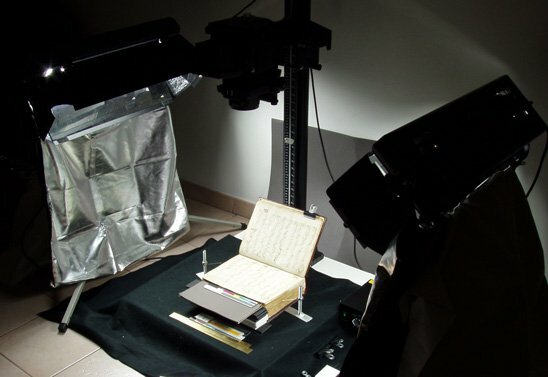 In cases of extreme (or even minor) damage to sources, copies of images are used for virtual restoration or reconstruction processes with the permission of the owner. 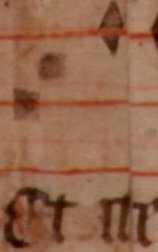 Since restoration is only done on the images, this is completely safe for the manuscript, as it is not touched again. If a restoration process on an image fails or is unsatisfactory, the image is simply discarded, and the process is reworked with a new copy of the original image. Most high-street hand-held digital cameras have a capture resolution of around 15 megapixels. High-end digital cameras used by professional photographers have a capture resolution now approaching 20-30 megapixels, sufficient to produce a high-quality printed image at around A3 size. These cameras can capture images at speeds comparable to those of conventional cameras, and are referred to as single-shot cameras, as they use a rectangular CCD. DIAMM uses two camera setups, depending on the size of the document to be captured. Advances in camera technology during 2005 led to two companies, PhaseOne and Hasselblad, each bringing out a large-sensor single-shot camera of approx 38 Megapixels (cost variable, but around £30,000 at the time). 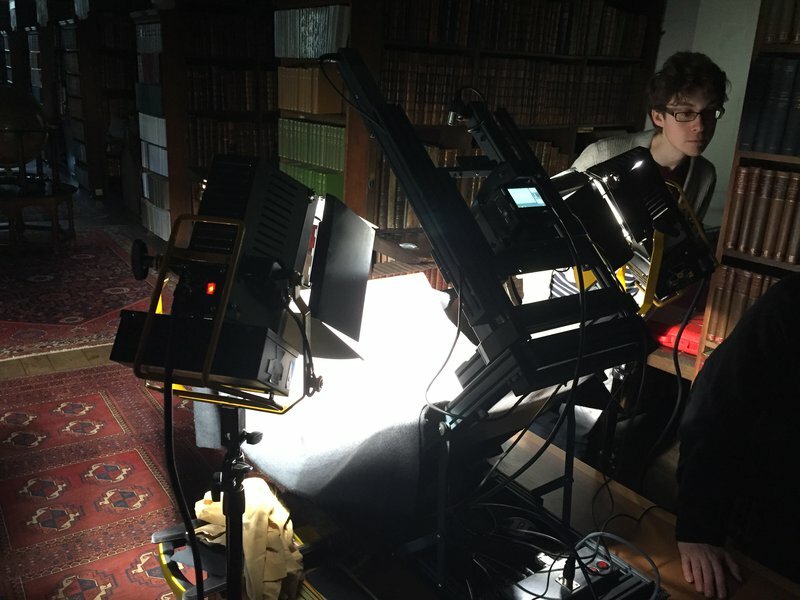 Side-by-side tests by a number of institutions (including the Bodleian Library and the British Library) showed lower noise on the PhaseOne images, and their cameras were chosed by these libraries and by DIAMM. 40 MPx was more than adequate for archive-quality imaging of smaller-size sources, as long as there is no damage on the original that requires digital restoration, which may require a higher-resolution image. Since our first single-shot camera we have upgraded regularly, and currently run an 80 Megapixel PhaseOne IQ1 which is suitable to provide archive-quality resolution (minimum 400 dpi at real size, ideally 600 dpi or more) for most sources. It is clear that the emphasis in digital camera technology is the development and marketing of much larger single-shot sensors. In 2018, finally, a single-shot sensor of a resolution that will allow us to retire our 144 Mpx scanning has been produced by PhaseOne. 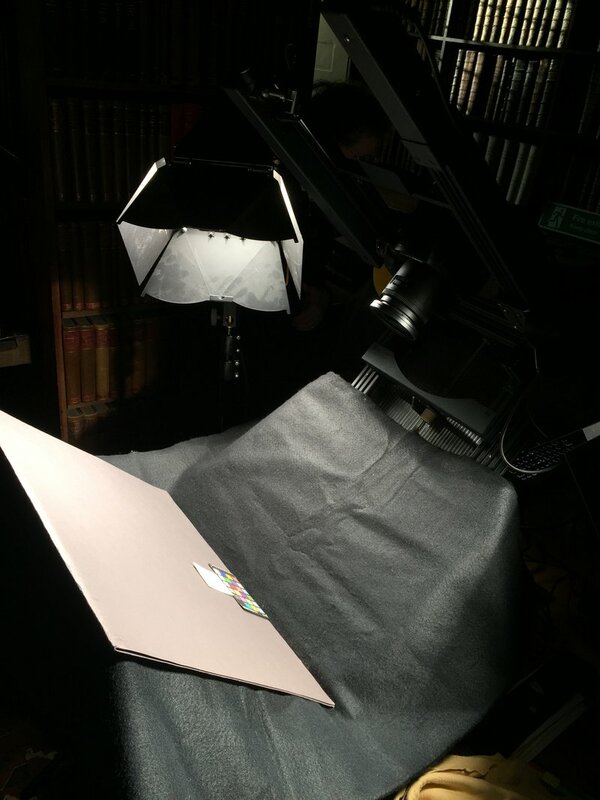 This will allow us to take images of exceptionally high resolution without the time requirement of a scanning back. So pictures are both better and cheaper. We are in the process (April 2019) of purchasing an IQ4 150 Mpx camera system. All images are captured at the highest possible resolution in the hope that there will be no necessity to revisit the manuscript for photography in the near future.